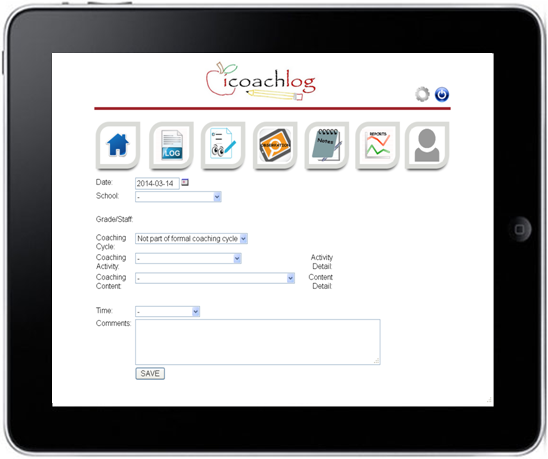 iCoachlog allows instructional coaches an advanced way of tracking and storing coaching activities, meetings, notes, and observations while on the go throughout the day. Simply enter the information as you move from activity to activity and meeting to meeting. Everything you do throughout the day from observations to meeting notes are stored electronically and can be accessed at any time for review or editing. The system allows users to edit all categories and add your own to personalize the system to your district!